Welcome to our beautiful horse pet portraits oil on canvas of Chico. 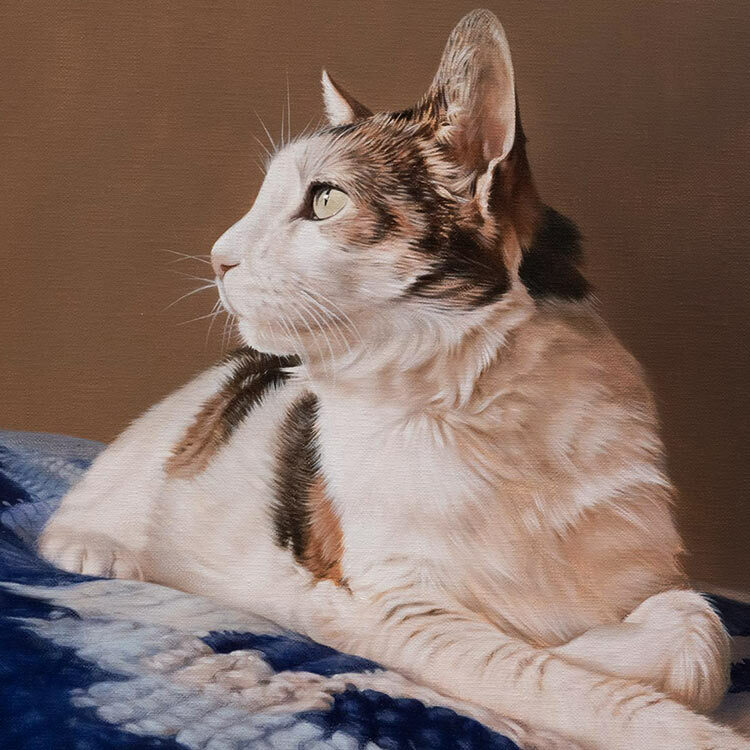 Like all of the other paintings on our website, the portrait of Chico has been traditonally hand painted in oils on Italian Linen canvas by Nicholas Beall. 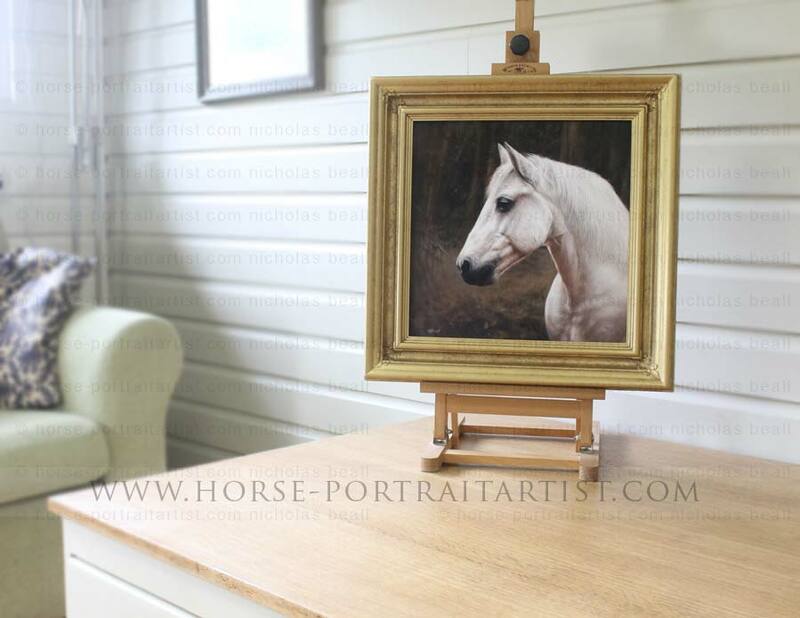 Nicholas has been painting horses for commission for over 22 years. He works from one main photo of your horse horse and can use others for detail if reqired. We hope that you enjoy viewing the portrait of Chico and if you would share our page using the buttons below. Una and her husband Gwynne commissioned two oil paintings in 2016, one of their beautiful dog Amber and another of their horse Chico. Una is a previous client of ours and she emailed us lots of excellent photos both both Amber and Chico. 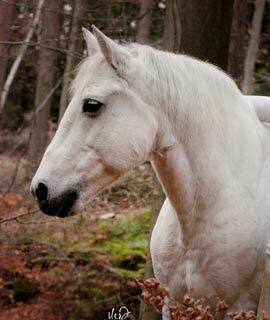 This page is dedicated to the horse pet portrait of Chico. After viewing Una's photos we all decided that the head study of Chico would work really well including all of the autumnal colours. Creating a similar style background to the photo using the sienna and umber colours, this would allow Chico to really stand off well against the background. 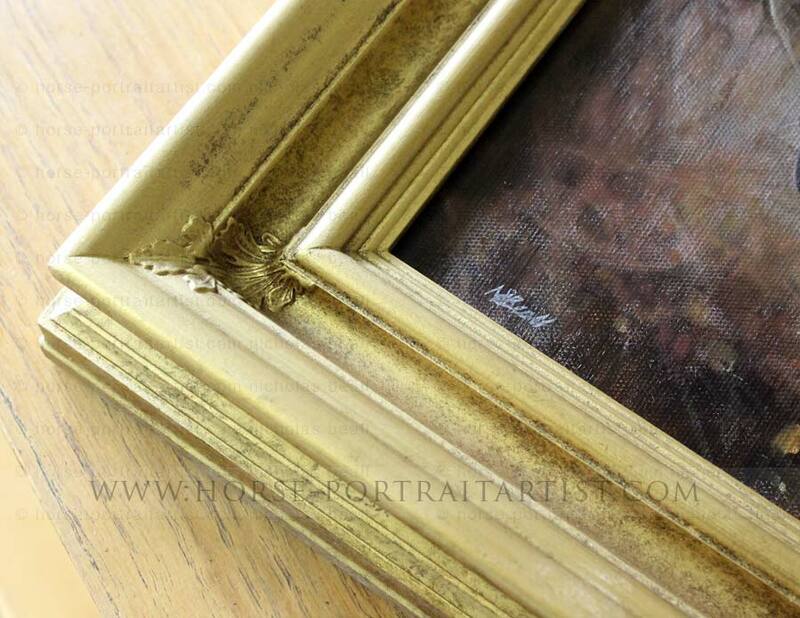 The portrait was painted on Italian Linen canvas at 14" x 14" size and has been framed in a gold frame too. Scroll down to view some fo the photos I took prior to [painting the portrait to send to Una and her family. I also took a video of the painting when it was framed, I hope you enjoy viewing it. That looks great - just like Chico. Can't wait to see it and Amber's also! Well they did delivered yesterday to our neighbours. We have just picked them up and they are fantastic. We LOVE them We won't fully unwrap them till we arrive in the US but will send you a photo in their new home Thank you both very much. We sometimes take video of the portraits when they are completed, just prior to packing. We hope you enjoy watching it, don't forget you can also subscribe to our YouTube channel too! 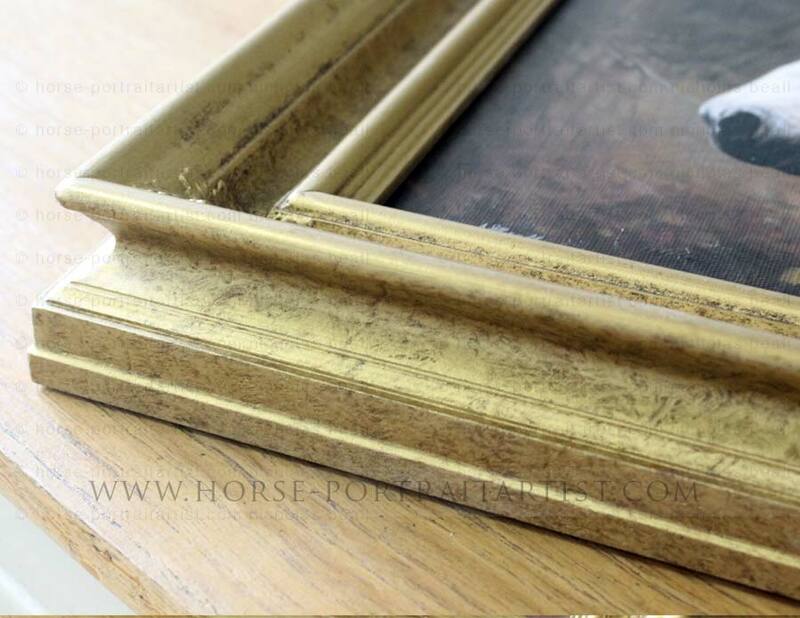 Our framers are pure craftsmen and create the most wonderful bespoke frames for us. As you can see Chico's frame is beautiful and if you would like your portrait framed in something similar, just drop us a line at any time. 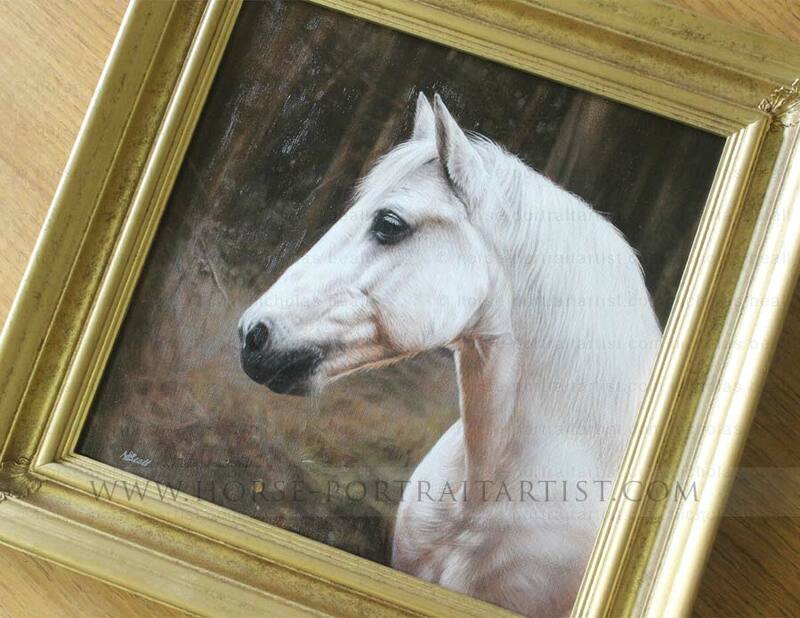 We hope that you have enjoyed viewing the horse pet portraits painting of Chico. 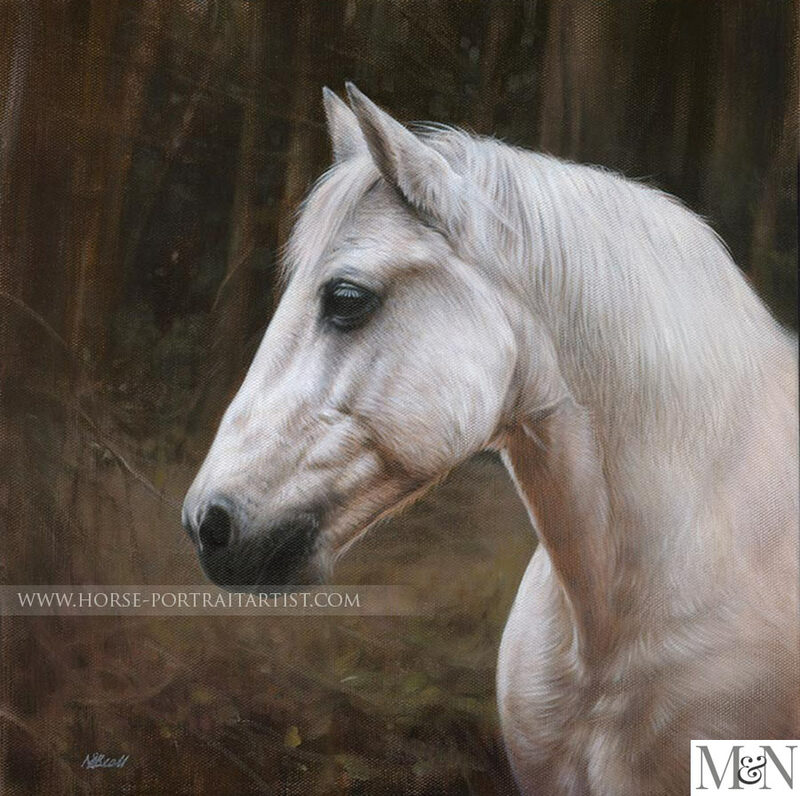 If you would like an oil painting of your horse similar to Chico, you can contact us by visiting our Horse portraits contact page.